Magnetude Consulting, an entrepreneurial, 3 year old marketing agency that specializes in working with B2B tech startups and small businesses, is looking for an entrepreneurial-minded, passionate marketer to join our growing team. 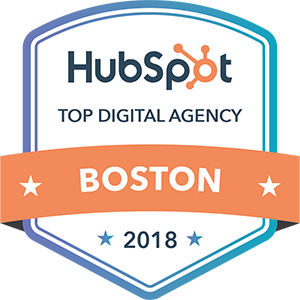 We are looking for someone who is energized by constantly learning and experimenting with what’s new in inbound and digital marketing and has a strong handle on all-things digital, spanning SEO/SEM, content marketing, social media, and website optimization. This candidate should have particular expertise in inbound marketing who has worked in Hubspot previously, though this individual will be responsible for working on digital outbound programs as well. Prior B2B experience is required. High Tech experience is preferred but not required. We are looking for a candidate who has a prior experience with B2B inbound marketing that is looking to grow their career and marketing expertise with us. We believe strongly in developing our team’s skill sets and fostering learning, collaboration, and best practice sharing. Strong knowledge of all digital marketing tactics–particularly in SEO, email marketing and website optimization (not design or development, but have played lead role in assessing/planning for site enhancements). Pay is commensurate with relevant experience. If you are interested, please send an email to [email protected] with a link to your LinkedIn profile and a sentence or two about what makes you good candidate for the role.